“The photo was taken on a Monday night ride in Sheffield. Shayn and I wanted to shoot a photo and after some time waiting for the shop to get quieter, we got a chance. The idea was to use the light from the shop, rather than a flash in the fading light. It took some time to get just right but thanks to Shayn for persisting because we definitely got the result we were after. Check out Chris’s work right here then peep more of Shayn’s riding here. 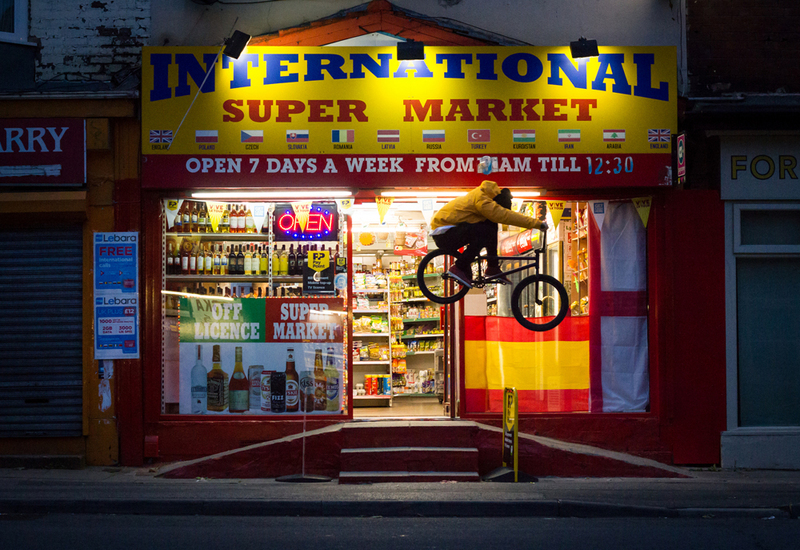 This entry was posted in BMX, Photo of the Week. Bookmark the permalink.